These gates are slightly different to our standard gates because the customer required the top of the gates to be level, but the bottom to follow the gradient of the driveway. They are 3’ high on the left hand side, but 4’ high on the right. Another example of our made to measure service at Coppice Creations. 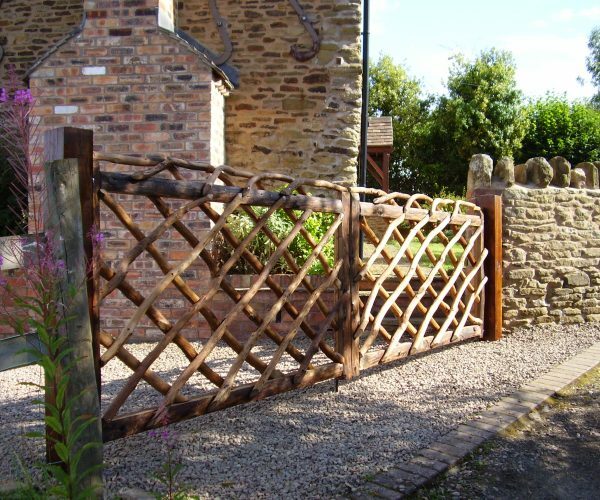 Note: Oak Gate Posts supplied separately, to view please Click Here.